Business Email Compromise (BEC) scams have for years ensnared executives inside large organizations, including decision-makers at the highest levels who are duped by clever social engineering into transferring sometimes millions of dollars into a fraudulent account. A growing segment of this type of attack, however, plays on the heartstrings of the lonely and preys on singles, divorcées, and the widowed who are lured into romance-related scams and ultimately become unwitting agents of these crimes. Some, led by their emotions, unknowingly become money mules and transfer or launder funds for their fraudulent “lovers.” Romance fraud is a sad aspect of BEC, which has cost organizations billions of dollars in losses, far ahead of threats such as ransomware that have dominated headlines for years. One of the first things that comes to mind with regard to BEC is CEO fraud, where a malicious actor impersonates a top executive and sends an email to someone in the organization asking them to wire money outside of normal processes. 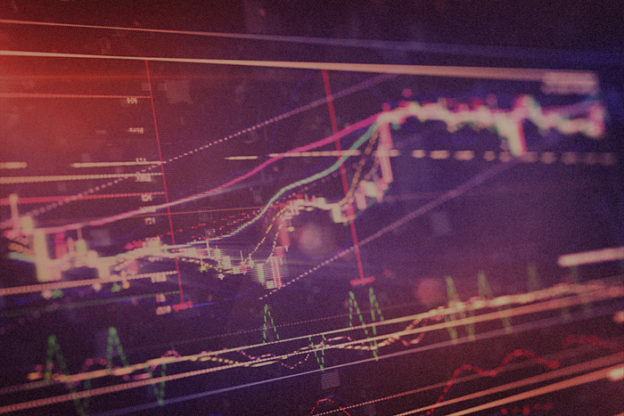 While CEO fraud makes headlines when companies report millions of dollars lost, it is a small piece of the puzzle when it comes to understanding the inner workings of how these operations work. The FBI’s Internet Crime Complaint Center (IC3) and others in the industry often use BEC as an umbrella term because of the number of criminal activities that overlap, which include (but are not limited to) romance scams, email account takeovers, real estate scams, phishing, tax fraud, and lottery scams. Romance scams are behind a growing faction of BEC victims. Mules are often duped into creating accounts or wiring money for their “lovers,” but are in the end taken advantage of by an attacker. Romance victims are simply looking for love, and are not able to see through the scam in many cases. Romance scammers are ubiquitous, some using the same scripts over and over on different websites trying to make a phony love connection with another potential money mule. One dating script, below, dates back to 2010 and has been used as recently as this March, with more than 1,600 fake posts meant to lure unsuspecting users into phony relationships. For romance victims, they are often groomed by an attacker after an initial contact and relationship on social media or dating sites, before they’re convinced to carry out what are illegal transfers or open fraudulent bank accounts. 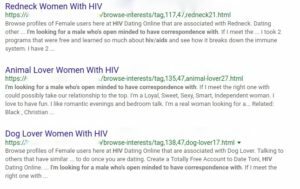 Some romance scammers will go to any length in order to find money mules, including in an extreme case, creating fake profiles for singles living with HIV, below. The overlaps between BEC and romance scams are strong, and romancers often have ties to other spammer activity. While investigating actors involved in different spammer groups, it was discovered that many were part of different dating groups, below, that are riddled with fake posts. 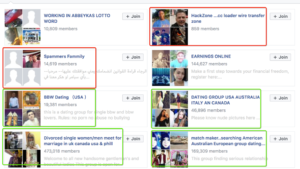 Image 3: Public groups by a user who is in spammer or wire transfer groups, and on dating pages. 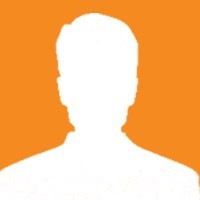 With BEC, it’s difficult to identify all the possible links between each aspect of romance scams, phishing kits, romance mules, and other overlapping types of crime because they are not clearly set in stone. 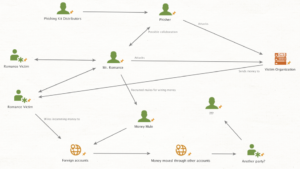 Using Maltego, it is possible to diagram some of the overlaps and how they interact with each other to give a graphical representation, below, of how these types of scams may be related. Image 4: A graphical representation of the different aspects and overlaps of a Business Email Compromise scam. BEC is considered one of the lower forms of cyber crime, however the fragmentation and ease of execution makes it an easy and effective way for actors to make money. BEC’s 2017 losses beat ransomware for a second year in a row, largely because it’s relatively simple: start with reconnaissance on a company and its partners, send a purchase order with a bank account number for transfers, and hope for the best. Antivirus won’t catch it, because there’s no malware, and data loss prevention (DLP) tools won’t flag a simple Word document central to the scam. There is no silver bullet, but to start addressing the problem, one must understand all of the pieces to the puzzle in order to avoid playing whack-a-mole. 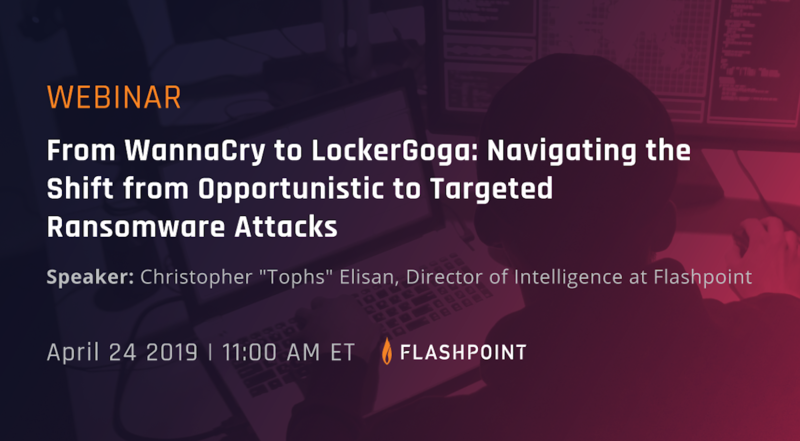 While bank accounts, romance victims, and sending phishing emails to a company have little in common, together these form an effective tool and layer of obfuscation that can be used by criminals to steal money and accounts from organizations. Greater understanding of where and how the threats work gives incident responders the effective tools in order to combat these threats. The FBI, meanwhile, suggests businesses implement controls such as establishing out-of-band communication channels, such as telephone calls, to verify large financial transactions typical in BEC scams. Another technical mitigation suggested by the FBI is that organizations encrypt and digitally sign email when possible. Companies should also stress that employees and executives be vigilant about requests for secrecy and pressure to take quick action, avoid opening links or attachments in email, implement two-factor authentication for corporate accounts, and other basic security controls. Sudden changes in partners’ business practices should also be considered a red flag, and in such cases, the FBI recommends verifying communication via other channels that the other party is legitimate. A complete list of protection strategies can be found on the FBI’s IC3 website. 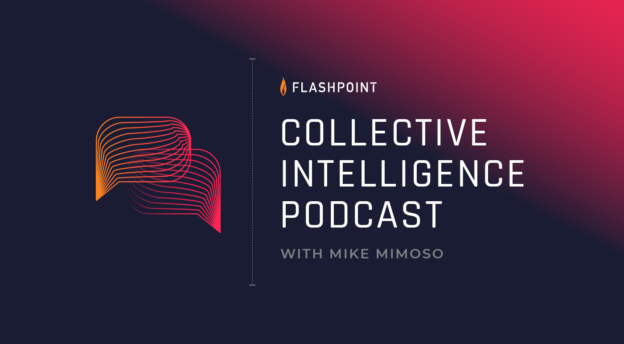 The Flashpoint analyst team is composed of subject-matter experts with tradecraft skills honed through years of operating in the most austere online environments, training in elite government and corporate environments, and building and leading intelligence programs across all sectors. Our team covers more than 20 languages including Arabic, Mandarin, Farsi, Turkish, Kazakh, Spanish, French, German, Russian, Ukrainian, Italian, and Portuguese.